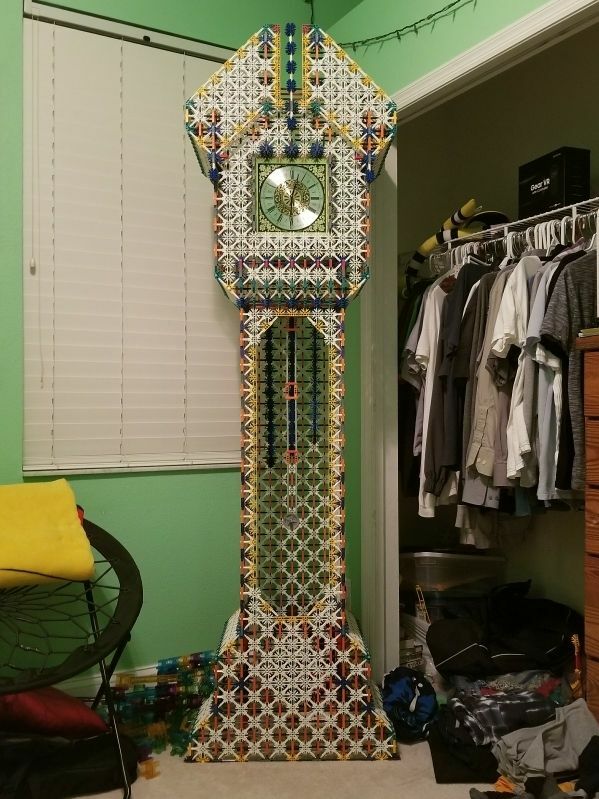 This is a very unique clock that stands seven feet tall. 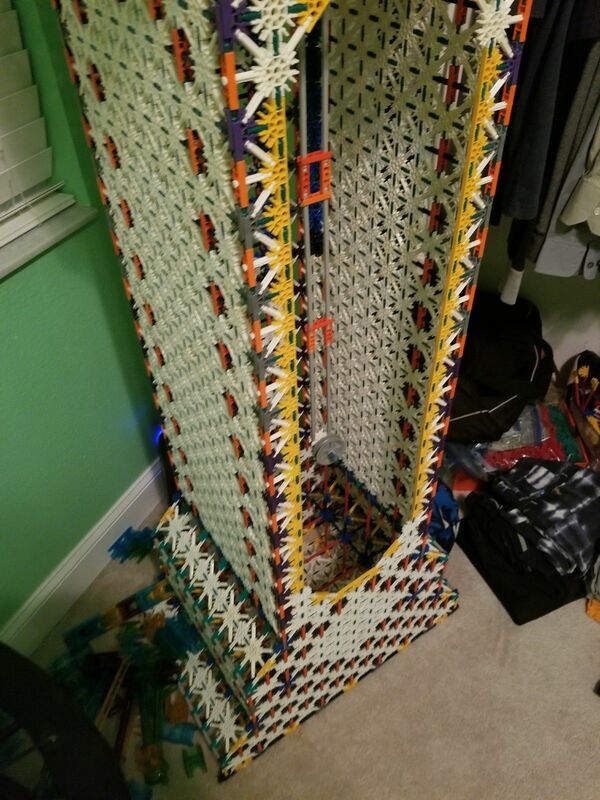 The K’nex Grandfather clock is a rare discontinued set that was sold by K’nex. 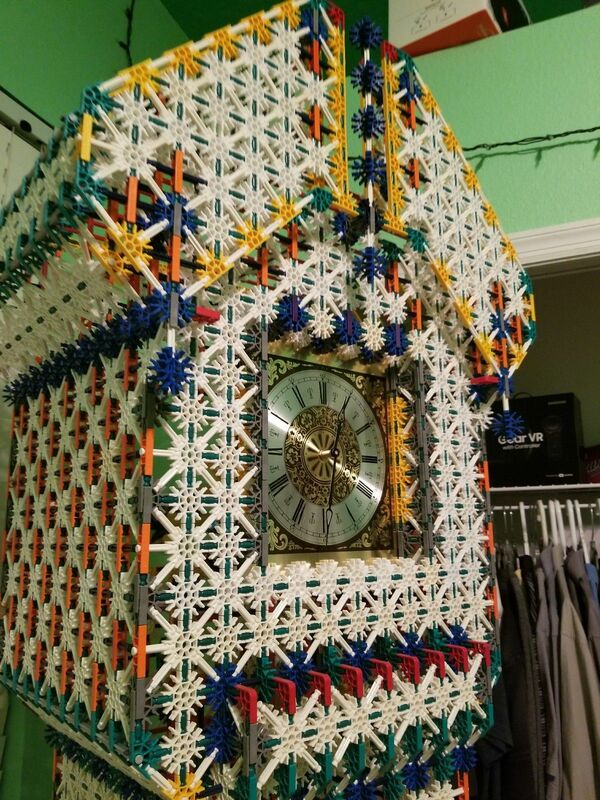 This clock was built and has not been touched since. The clock is in working condition with all the pieces including motors, instructions, and clock parts. This clock is hand built by you yourself. This clock is a finished piece from the rare set. This clock looks unique and different than any other clock and works just like any other grandfather clock. There is a swinging pendulum, clock face, and sound chimes. This clock is unique in style and built. This clock was able to be purchased in pieces with all the functioning clock parts. This is a clock that is a great family project. This clock would be recommended for ages sixteen plus. You can personally build a clock that functions. However, since this set has been discontinued this is a very rare clock. The clock has over 9,000 pieces to build this seven-foot-tall clock. It is built with color coded instructions. This clock runs on a plug-in motor with an AC adapter that is included with the set. Even though this clock is discontinued there are places that a built clock or the set can be found. 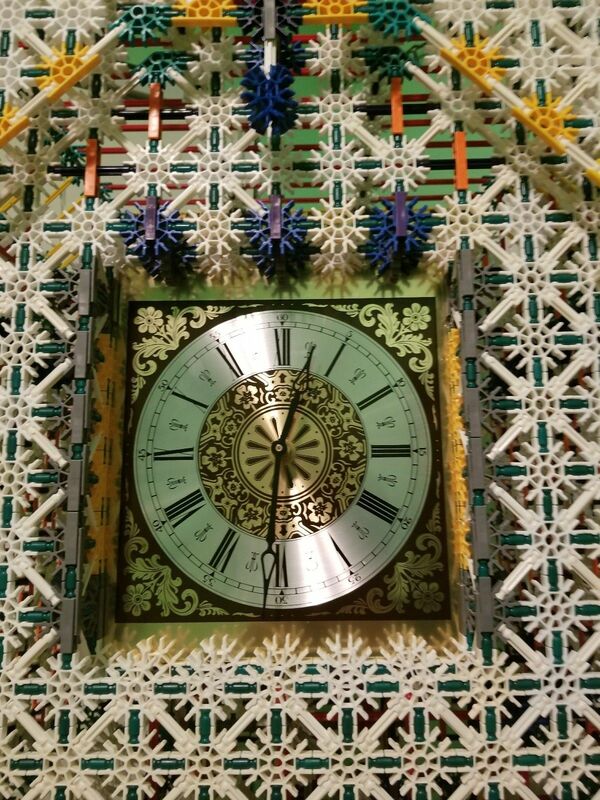 This clock is also amazingly unique due to its plastic build and its many different colors. 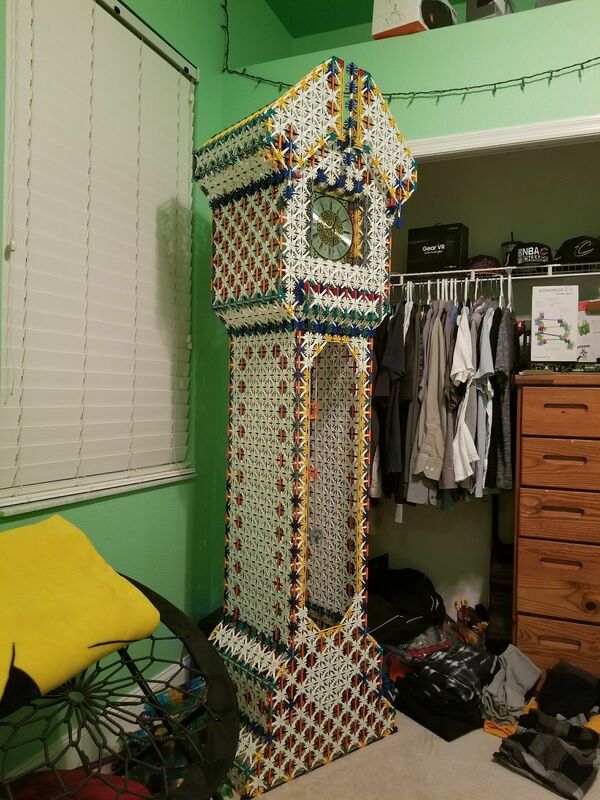 This clock is made fully of plastic pieces. This clock is a very different type of grandfather clock that would make any room pop with uniqueness. This would be a great clock for children or teenagers room. These clocks are different and make for a great story. The clocks bottom or base has step like features on both sides before getting to the trunk. The top of the clock where the time dial is rectangle or square shaped. The top of the clock includes two rectangle shapes on the left and right side with a center of a blue point. This blue point is located between the two rectangle shapes on the top.